I recently came across a blog called Housewife of Suffolk. 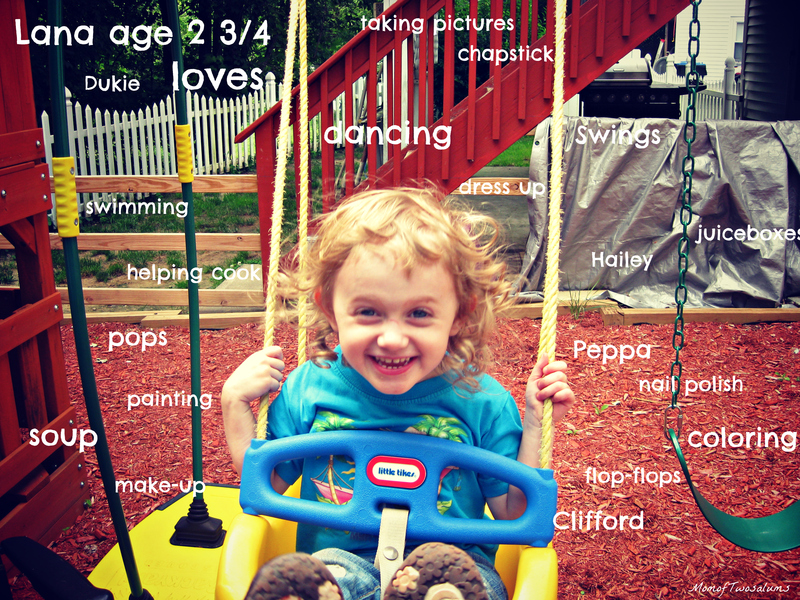 She has a great linky up where you take a pic of your kid with all of his/her loves at that age. I feel in love with this project. Thank you! I loved the idea. It’s brilliant. It’s a great idea isn’t it! Think I’ll be doing them regularly now! Thank you so much for joining in and linking up. Great idea to do them regularly. Will be interesting to see if/how her loves change.